Dazzled by dangling gardens, but wish you could have one of your own? 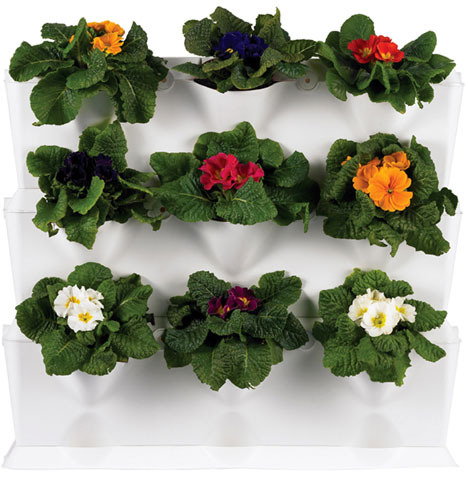 This neat and simple system of stackable modules makes it easy to create indoor or outdoor garden ‘plots’, hung from walls or built up from floors, window ledges and deck railings. The rather minimalist black and white (though also green) polypropylene plastic ‘pots’ hide a system that both retains moisture but keeps plants lower down from becoming over-watered, by draining excess liquid directly down to a storage trough in the base. The material itself within these Minigardens is designed not to leach toxins into your soil or plants, but is a smooth synthetic that can be more easily cleaned. Kits come in various sizes with differing numbers of trays, all of which can be stacked, suspended and hung in various ways. Not bad for under $100 (at gardening stores and plant websites in the UK). 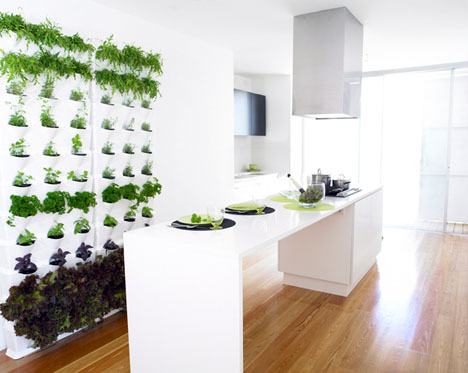 “Minigarden is perfect for building a small living wall or simply combine together to create a large vertical garden. 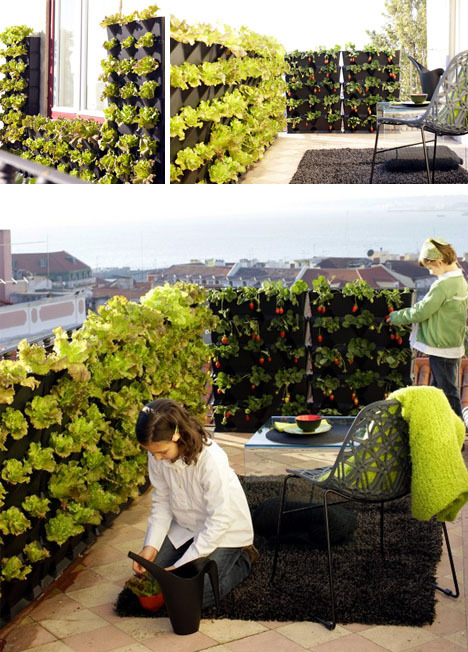 Minigarden is suitable for growing fresh aromatic herbs in your kitchen or outside on your balcony. 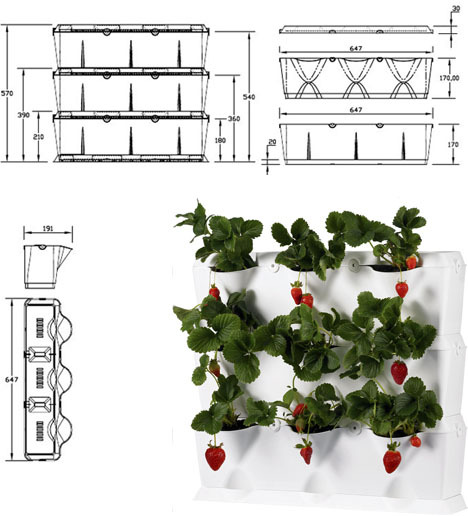 The modular system allows your vertical garden to be as large or small as you wish. A contemporary and chic solution for patios, decks, rooftops and around fencing or windows."